1. Clean brussel sprouts, chop off bottoms and then half/quarter. Add remaining ingredients, place on a parchment lined baking sheet. Bake at 425 for around 25/30 minutes, until crispy and browned. 2. Combine all dressing ingredients, thin out with water if you want a more thin consistency. 3. 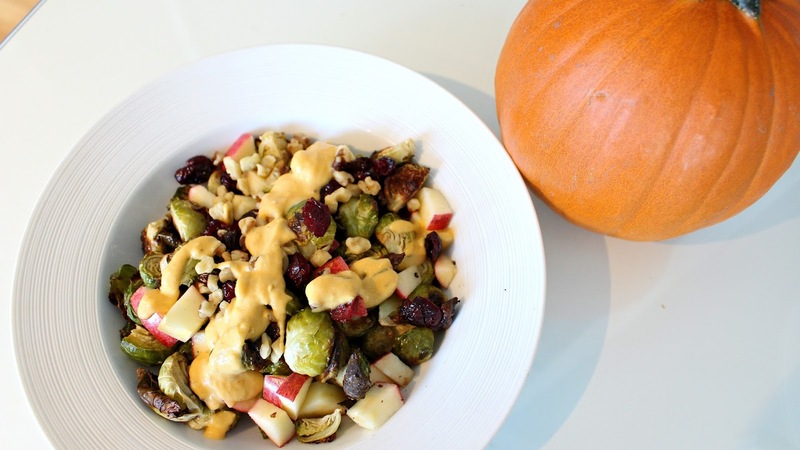 Add dressing to brussels and top with apples, walnuts and dried cranberries. Would be amazing with goat cheese and/or bacon as well!